Chocolate truffles are a gourmet treat. Chocolate truffle recipes are surprisingly easy to make, though you don't have to try your hand at candy-making to enjoy their tasty flavor. If you aren't interested in making your own chocolate truffles, then the next best thing is to buy them from a reputable chocolatier. All sorts of companies produce truffles - some on a mass scale, and some on a small-scale, artisan basis. 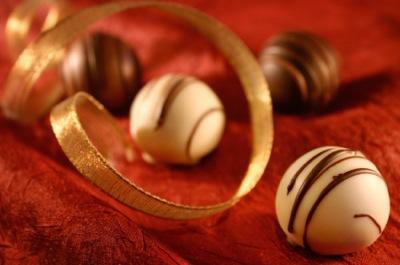 Mass producers of chocolates will be a lot cheaper to buy from, while artisan candies tend to be more expensive. Sees Candies has been making chocolates since 1921, and they are one of America's favorite candy companies. With locations all over the country, there is probably a Sees Candies location near you - and if there's not, they now sell their delectable chocolates over the Internet. Godiva Chocolates is a very popular high-class chocolatier that you'll find in upscale malls. Their truffles are known for being of very high quality. Vosges Haute Chocolate is a small-scale artisan chocolatier that sells truffles to both shops and the public. Though the company has grown over the years, they still very much adhere to hand-made ideals. Cocoa Bella is another small-scale company that has developed a serious reputation for creating fine chocolates. Their popularity has not compromised their quality, and you will find that Cocoa Bella truffles are every bit as special as they were in the beginning. 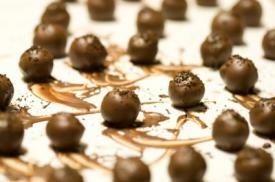 Whether you decide to make your own truffles or to purchase them from a chocolatier, you're sure to enjoy eating them. This decadent sweet is a gourmet choice that can be savored any time you want to enjoy a rich, chocolate treat.